Do you know what time it is? I’m not talking about checking your watch for how many hours and minutes that have passed in this current day. I’m talking about what time it is in your life…what’s the reading on your Life Clock? On your Life Clock, your 80-year lifespan is represented as a single, 24-hour day. Each day you live moves the hands of your Life Clock forward, starting at 12:00AM when you are born and ending when you finish your 80th year and the clock strikes midnight. Where the hands of the clock are right now is your Life Time. There’s something about looking at a clock that gives you a great visual reference for where you are in your day. 7am? Time to leave for work. 12:55pm? Lunch is over, time to get back to work. 9:13pm? Last chance to call your Mom to wish her happy birthday. Thanks to the clock, you know where you are in relation to the activities of the day and you can budget your time accordingly. So, what if you could do something similar for your entire lifespan? What if we could look at a clock and see how much of our life we’ve spent and how much remains? Follow steps below to find out what time your Life Clock reads right now. You’ll need about 3 minutes and a calculator. Find out how many days you’ve lived by filling out this Days Calculator. The “start date” is your birthday. The “end date” is today. Multiply the days you’ve lived by 3. This is the number of seconds you’ve lived on your Life Clock. Divide the answer from step 2 by 60. This is the number of Life Clock hours. Round the answer from step 3 to the nearest whole number. Use this Quotient / Remainder calculator divide your whole number by 60. The quotient = the hour on your Life Clock. The remainder = the minutes on your Life Clock. For example: If your quotient = 8 and remainder = 24, then your Life Clock reading is 8:24AM. This is your Life Time. REMEMBER: The Life Clock calculator gives your Life Time in a 24-hour (military) format. If you are over 40 years of age, you can subtract 12 from the quotient to give your hours in a 12-hour format. If you to this, don’t forget that your Life Clock reading with be PM not AM. 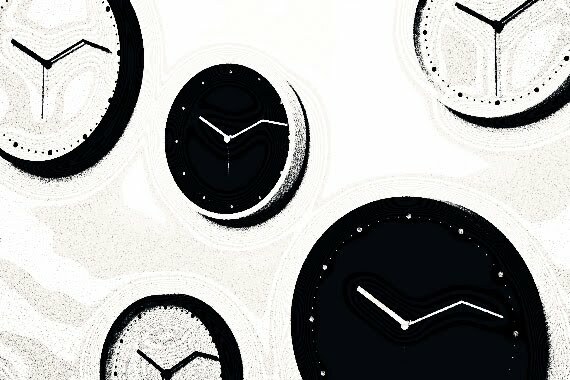 We’re found out our Life Time…so now what? This entry was posted in reflections. Tagged tools & tips. Next Post Next post: A book about a book about me?